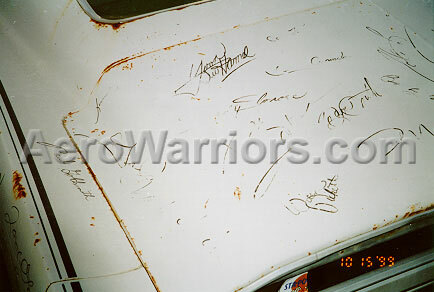 Small portions of the phrase "24 HOURS OF DAYTONA 1968 DRIVERS" are visible in this photo of the driver side front fender. 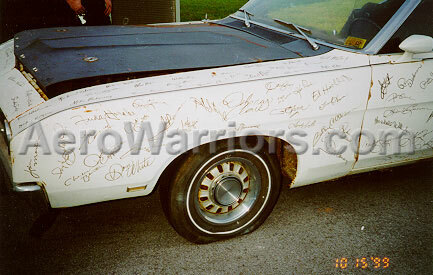 The passenger side fender carries a similar phrase, except that it specifies 1969. 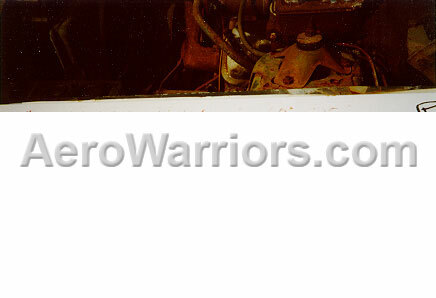 The 1999 Aero Warrior Reunion in Alabama included a two day car show on the grounds of the International Motorsports Hall of Fame. 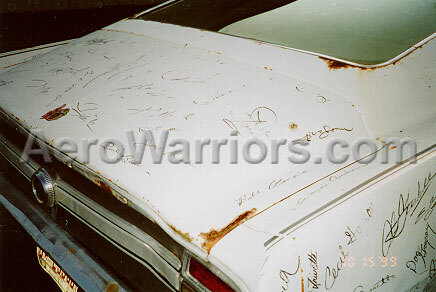 Ironically, one of the most unusual and interesting aero cars at the complex wasn't put on display, but was parked rather unceremoniously behind the Hall of Fame. 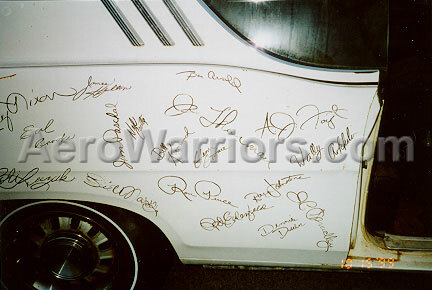 A few of the Reunion attendees stumbled upon it while parking their trailers at the rear of the facility. 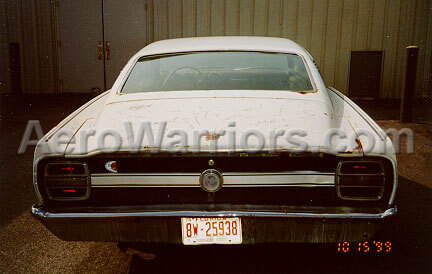 And what made this car, a 1969 Ford Talladega, particularly noteworthy? 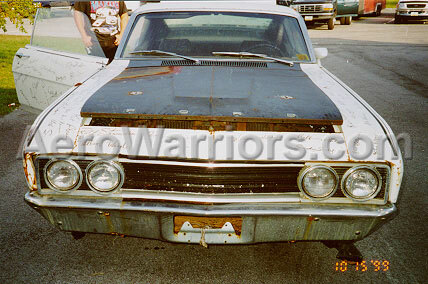 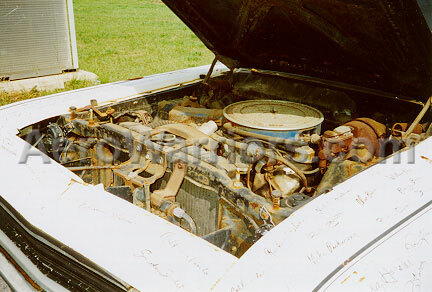 A close examination of documentation found in the car showed it to be one of the first Talladegas produced. 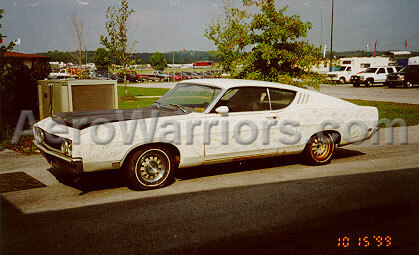 Additional information, gathered by persons in the know about Talladegas, indicated that the car was in fact a prototype, and as such it had some distinct differences from a production Talladega. 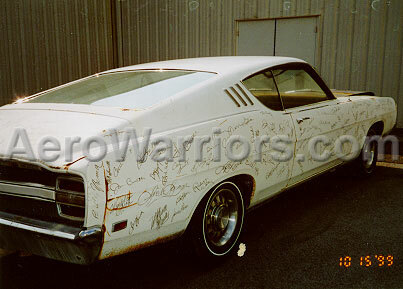 Paperwork found in the vehicle also named a member of NASCAR's France family as owner. 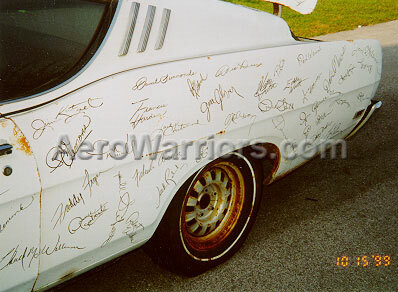 But what made this car a real one-of-a-kind is what was on its exterior - a plethora of racing driver signatures. 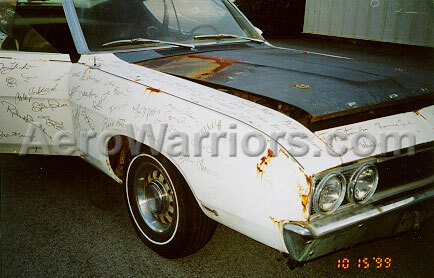 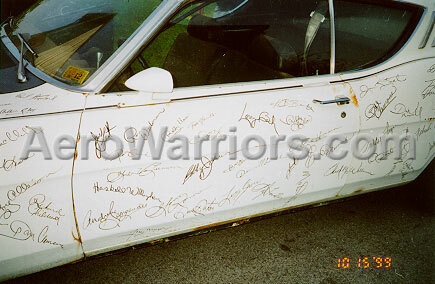 Most if not all of the drivers that participated in the 1968 and 1969 24 Hours of Daytona events autographed the car!